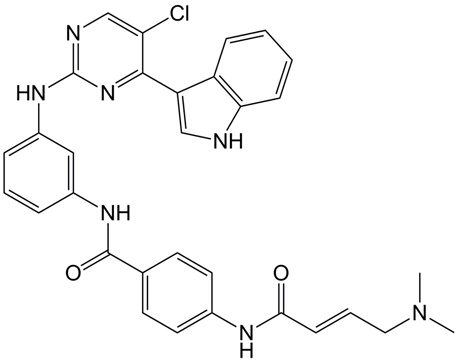 Description THZ1 is an irreversible, potent and selective inhibitor of CDK7(cyclin-dependent kinase 7) with an IC50 value of 3.2 nM. 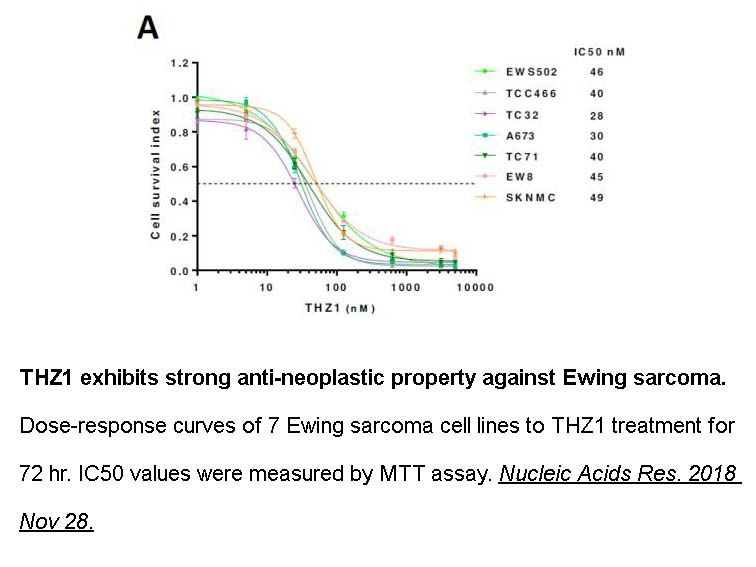 As a CDK7 inhibitor, THZ1 potently inhibited proliferation of Jurkat and Loucy T-ALL cell lines with IC50 values of 50 nM and 0.55 nM, respectively. 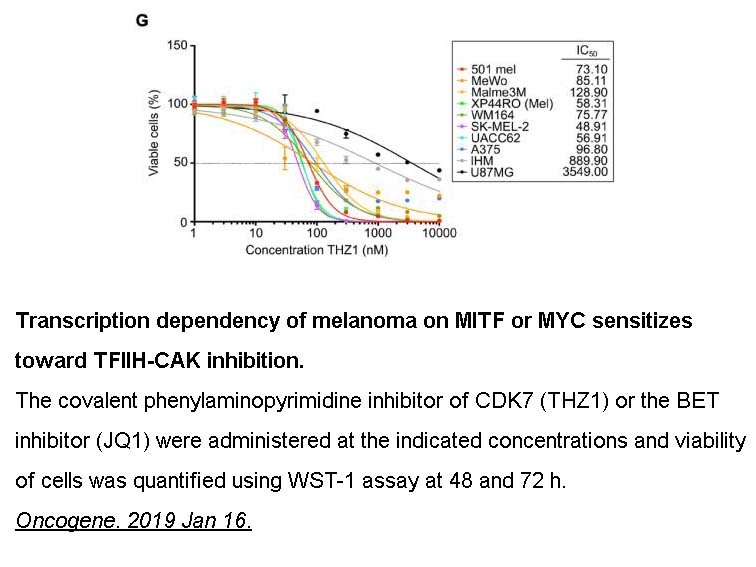 THZ1 exhibited efficacy in a bioluminescent xenografted mouse model using the human T-ALL cell-line KOPTK1 when dosed twice daily at 10mg/kg. THZ1waswell tolerated at these doseswith no observable body weight loss or behavioural changes, suggesting that it caused no overt toxicity in the animals. THZ1 is a covalent inhibitor of CDK7 with IC50 value of 3.2nM . 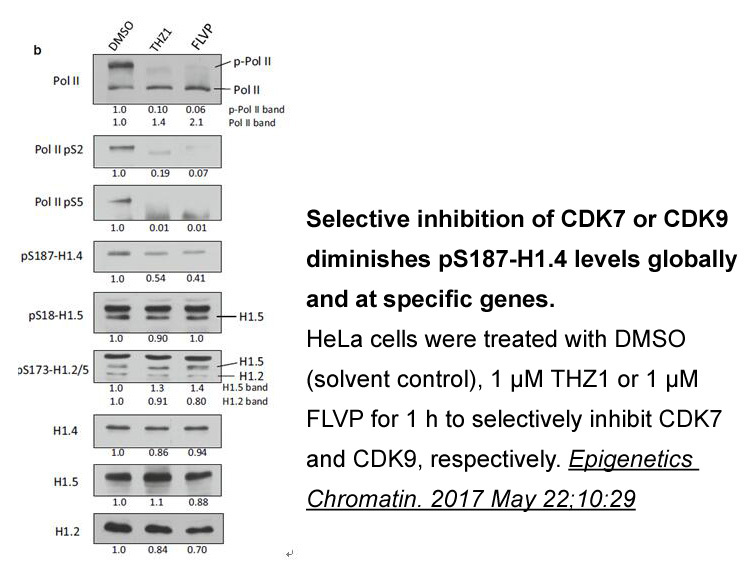 THZ1 covalently modifies CDK7 by targeting C312 residue outside of the kinase domain, providing an unanticipated means of achieving covalent selectivity. THZ1 potently inhibits proliferation of Jurkat and Loucy T-ALL cell lines with IC50 values of 50nM and 0.55nM, respectively. In the kinase binding assay, THZ1 shows a good binding affinity with IC50 value of 3.2nM . 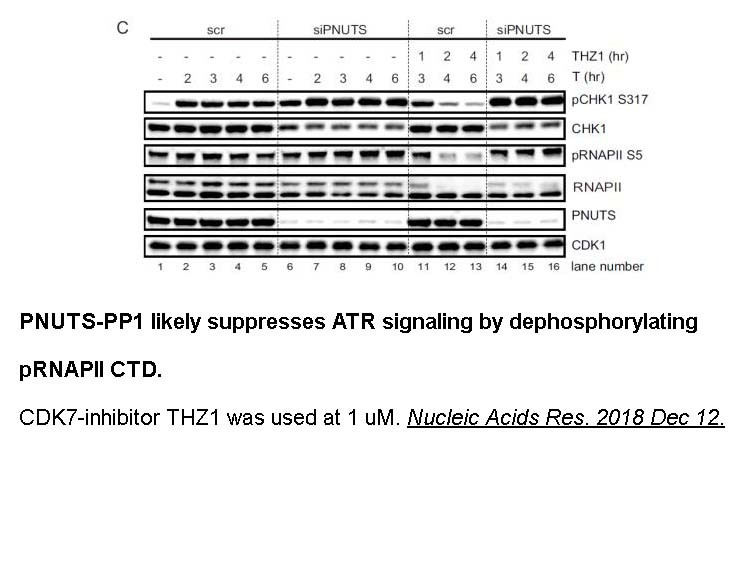 As an inhibitor of CDK7, THZ1 inhibits the phosphorylation of the C-terminal domain of RNAP polymerase II, effecting the regulation of transcription. 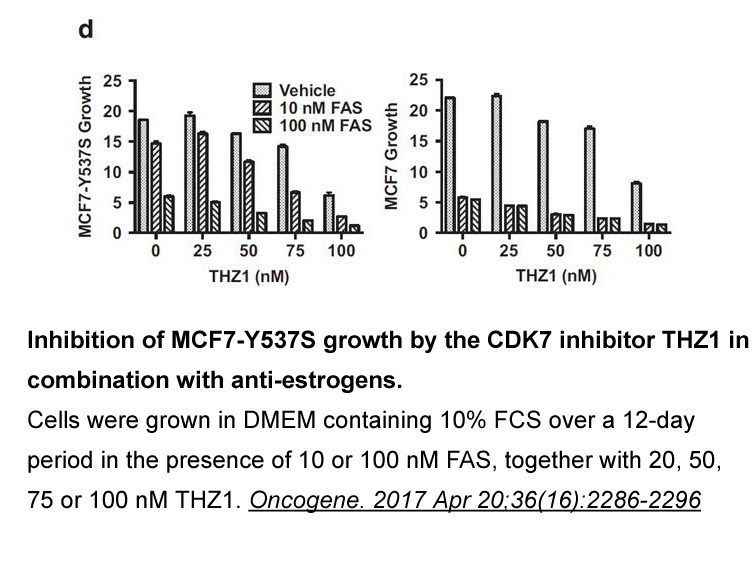 THZ1 also inhibits the activation of the CDK proteins. It is reported to disrupt the CDK7 signalling pathways both in Jurkat cells and Loucy cells. 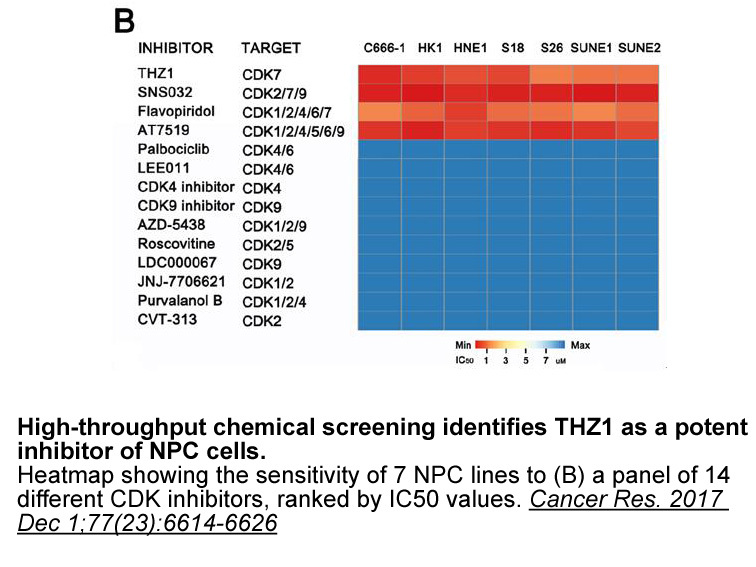 THZ1 shows a broad-based activity with IC50 values less than 200nM in a variety of cancer cell lines. 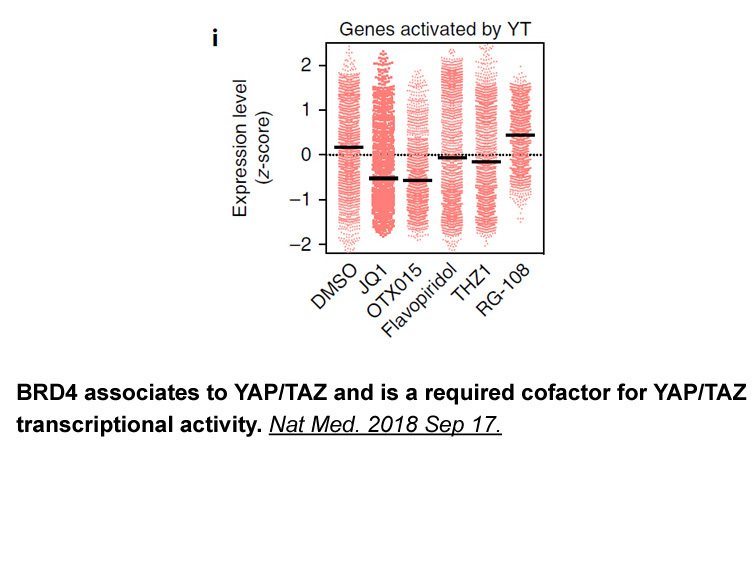 Among these cell lines, T-ALL is exceptional sensitivity to THZ1 due to the transcription effect of RUNX1 caused by THZ1 .